Broadband Adoption Act of 2013 from Matsui, Waxman, Eschoo would add Internet to Lifeline program. Should the Government Subsidize Broadband for the Poor? Broadband Internet access could soon be added to an FCC program that subsidizes telephone services for low-income consumers. Three members of Congress have introduced the Broadband Adoption Act of 2013, which would add broadband access as an option to Lifeline, an FCC program started in 1985 to help people pay for telephones so they could connect to jobs, family, and emergency services. Democratic Reps. Doris Matsui, Henry Waxman, and Anna Eschoo, all from California and members of the House Subcommittee on Communications and Technology, introduced the bill on Tuesday. 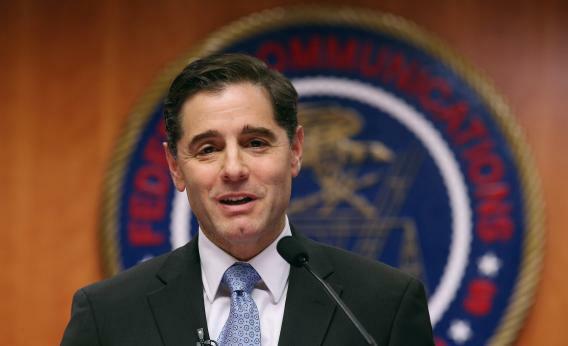 It’s in line with efforts by the FCC and the Obama administration to achieve universal broadband access in the United States by 2020, and outgoing FCC Chairman Julius Genachowski announced his support for the bill when it was introduced. Currently, about 100 million homes in America are without broadband access either because the residents don’t want it or can’t afford it, while another 19 million homes are in communities that still aren’t served by broadband. In a series of reforms last year, the FCC rolled out a pilot program to add broadband access to Lifeline’s support for landline and mobile phones. The new legislation would make broadband a permanent offering. Households that qualify for the assistance can only get a discount on one of the services, meaning they have to choose between a broadband connection, a landline, or a mobile phone. Lifeline has been the target of vocal opposition in the past two years or so. Conservatives labeled it the “Obama phone” program after its costs nearly tripled in the president’s first term. In January 2012, the FCC took steps to eliminate fraud and abuse, specifically to stop people from getting support for multiple phones and without proving their eligibility. This association with waste and unaccountability already has lawmakers questioning the new proposal. On Monday, Fox News quoted Missouri Democrat Sen. Claire McCaskill saying she found it “really worrisome” that the FCC would expand Lifeline to include broadband Internet. In 2011, similar legislation from Matsui failed. Still, high-speed Internet access is a critical aspect of life today, and much more useful than a standard landline. The Internet is our primary way to stay connected, and it underlies everything from job searches to educational technology. On a global level, the United States ranks 15th in terms of broadband adoption per capita, falling behind countries like South Korea, the United Kingdom, and Germany. Even if Lifeline has run into trouble in the past, its mission is to help people afford connections to jobs, family, and services—and who can say the Internet isn’t the best way to do that?